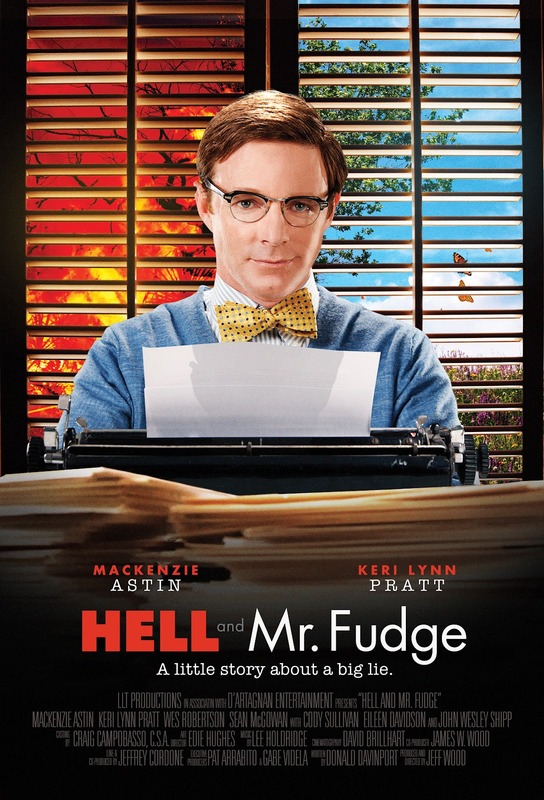 Hell And Mr. Fudge: The Most Important Movie Of The Year? My family and I had the honor to attend the Athens, AL pre-release screening of Hell and Mr. Fudge on June 5th, 2012. The public response to the screenings was so great that they had to add a third screening to accommodate all of the interest! The movie was outstanding in every way. It was authentic and thought-provoking, with rich characters who draw you into their lives. My wife and our two youngest daughters all thoroughly enjoyed the movie, revealing its wide appeal. Hell and Mr. Fudge details the life of Edward Fudge, a devoted Bible scholar, pastor, and lawyer. It focuses on Fudge’s boyhood home life, his college days, his early-married life as a pastor, and especially his exhaustive study of the Bible’s teaching on final punishment. The audience sees Fudge’s intense Bible study, one that moves him from the traditional teaching of a hell of endless conscious torment to the view that hell is a place of complete destruction. Fudge is a prodigious, honest, humble and gracious truth seeker, who nervously but courageously stands for the truth. Edward reaches out beyond his denomination as well, showing that God’s love and grace extends to all who believe Christ’s message regardless of their church affiliation. The masterful cinematography keeps the story very visually interesting. We move back & forth in time—from a light documentary look to a real life movie feel. Each of these transitions flow naturally, opening layers of understanding into the lives of the characters. Fudge’s family and friends are a huge part of who he is, and the film communicates its message through these relationships. It depicts his father is as a great example to him, and his wife falls in love with Edward after hearing him speak the first time. Banter with friends adds some humor and lightness to the movie. Executive producer Pat Arrabito opened the screening by saying that they had made this film to the glory of God. I believe they have achieved that goal. The movie honors God’s character, being filled with His love and grace for all, while showing the ability to find His truth in the Bible if we are willing to allow it to interpret itself. The movie was a first-class quality Hollywood production. The Platinum Award from the Worldfest Houston International Film Festival was very well deserved. Everyone involved should be proud of their accomplishment. This may very well be the most important movie of the year. Given the love and prayer that has gone into its message, I think it has the potential to ignite a new reformation in our day. The message of God’s love and grace with a devotion to the Scriptures will touch believers and non-believers alike. As soon as I hear more about movie distribution or other news, I’ll be sure to post it here. Agreed! Great Review. My wife and I attended the Houston viewing. The movie trailers beforehand were promising but the movie itself delivers far more than even the trailers reveal. it is a “must see” movie. Agreed as well! My wife and I saw the Houston showing and it was tremendous, and an important movie for both of us. Thanks @fleetwd1 & @Frank! I’m praying daily for the wide distribution of this important movie! I agree 100%! How I wish EVERY seminary student in America would watch this film! Mr. Fudge did a great job presenting the Biblical case for “Conditional Immortality”. If you want some free information on the theology the movie is based upon – you can Google “Jewish not Greek” or visit http://JewishnotGreek.com. Hallelujah for this movie!